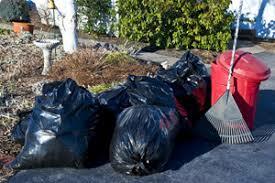 Many people let Fall cleanup slide past them without cleaning up their lawns. This usually results in a big cleanup in the Spring. Because it is a tedious job, lawn cleanup services are often needed to get your lawn off to a good start. Over the winter months, our lawns take a small beating. Especially if left a lot of leaves laying around from the Fall. Some leaves are fine but a massive amount is not so good. They stay on top of different areas and hold moisture which can make a way for mold & diseases to eat away at your lawn right at the start. 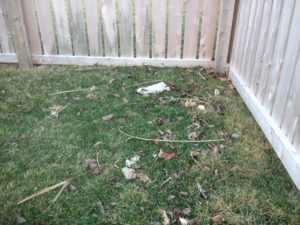 Then there are the lawns that are is a wind vacuum and the whole blocks debris is drawn to your property as if a magnet is pulling it in. With all the leaves, trash, and fallen limbs you have your work cut out for you. Click Here for more cleanup information. Leaf cleanup is pretty annoying. The average person will use a rake and handbag their leaves. Then there are some who have equipment like a blower and handheld leaf vac to help out. Even using these portable tools can be a task. But all we know is that it needs to be done. 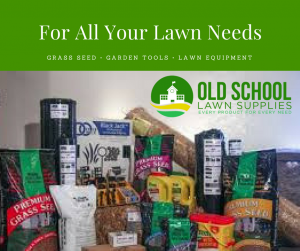 Here at Old School Lawn Service, we will come in and pick up around the yard so that you can start off maintaining your lawn the right way. This is the first step in making sure your lawn can breathe well and receive proper water to the roots for good growth. We are set up to handle those ugly leaf cleanups that can become a big hassle without the right equipment. We also get the fallen limbs out of your way. And if you want us to, we will give it your first mow. A good cleanup service will save you time and physical work so that you can enjoy other things you might want to do. We hope you are able to get your lawn cleaned up for this coming season whether you do it yourself or use a service. We want you to know we are here for you and we are only a phone call away at (405) 420-6948 or Click Here to get a quote. Thanks for visiting us and if you have any questions or comments leave them in the section below. We will respond within 24 hrs.